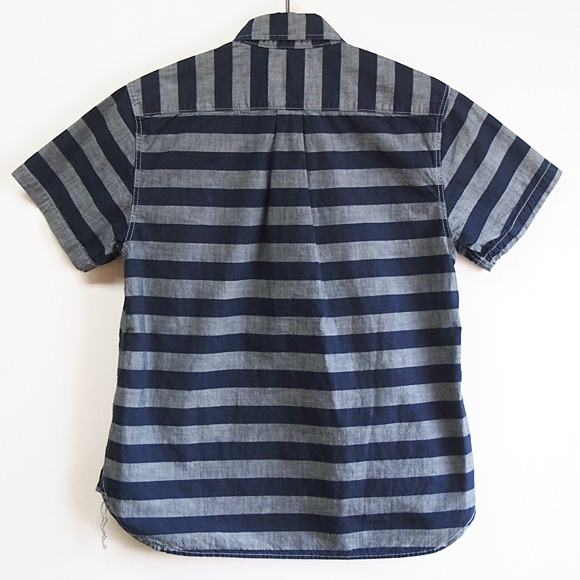 The pullover button-down shirt of 100% of cotton comes up with short sleeves from craftsman denim brand graphzero (graph zero) of Kurashiki, Kojima! 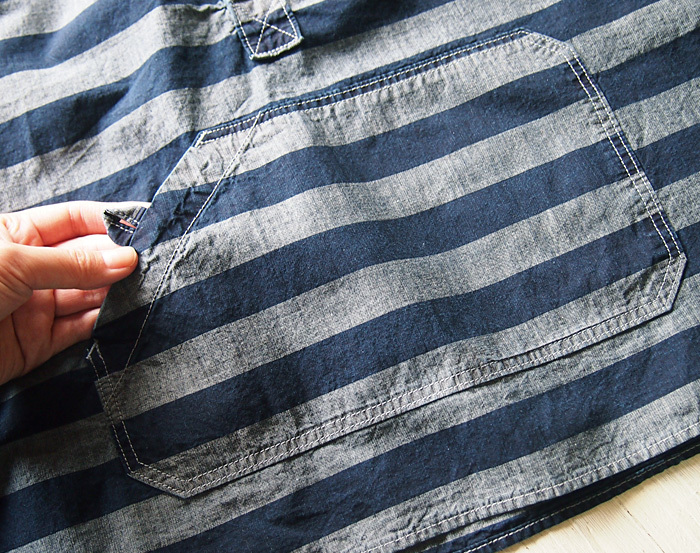 It is the first characteristic that there is a pocket to put a map and a ticket as "the clothes which are usable on a trip". I can put a map and a brochure in the abdominal big pocket with a ticket in the small Carne pocket of the left chest. To be functional, and to enjoy outing as a design willingly interestingly; good one piece! 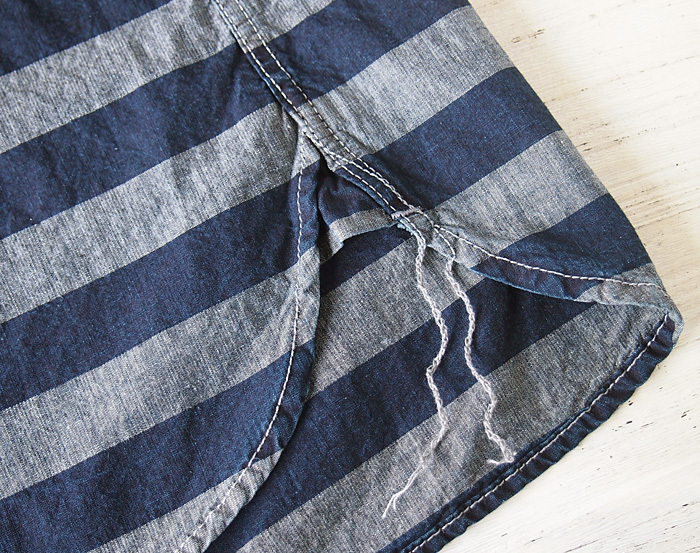 In addition, the frill finished weaving with indigo and gray becomes the color of the graphzero original and can enjoy the change of the soft texture whenever I wash it with the cloth which did it well. 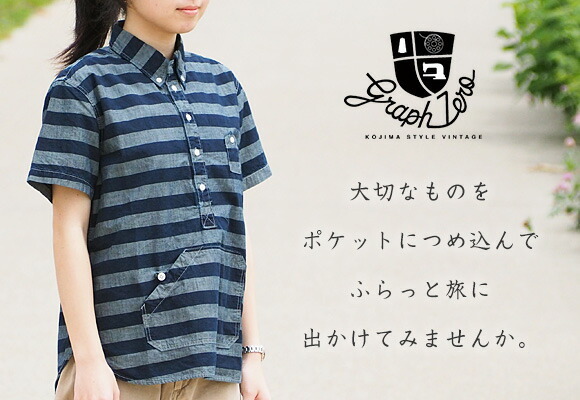 The Carne pocket of the left chest becomes the design only in graphzero. The abdominal pocket suggesting the pocket of the parka is made with size having a lot of it so that even a slightly large thing is put. A map and a ticket, the passport which are necessary during a trip are convenience in entering very. It is GOOD to wear to the slight outing of the holiday as the large tickets such as the Shinkansen enter! 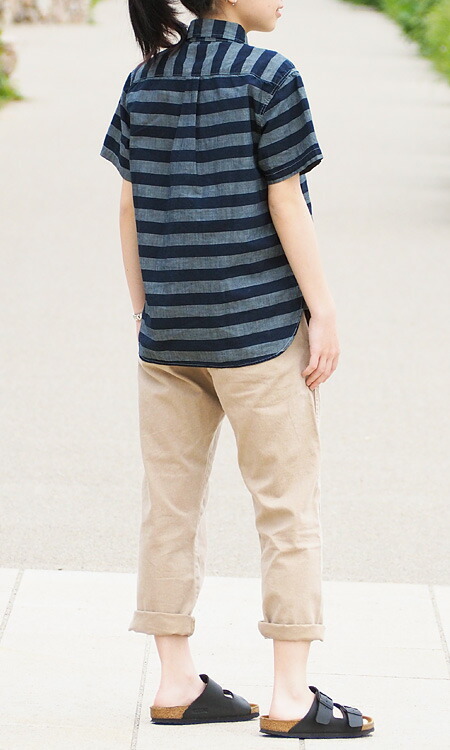 The height of the model wears 153cm, XS size. In an unhurried silhouette, it becomes the mild comfort lightly moderately. 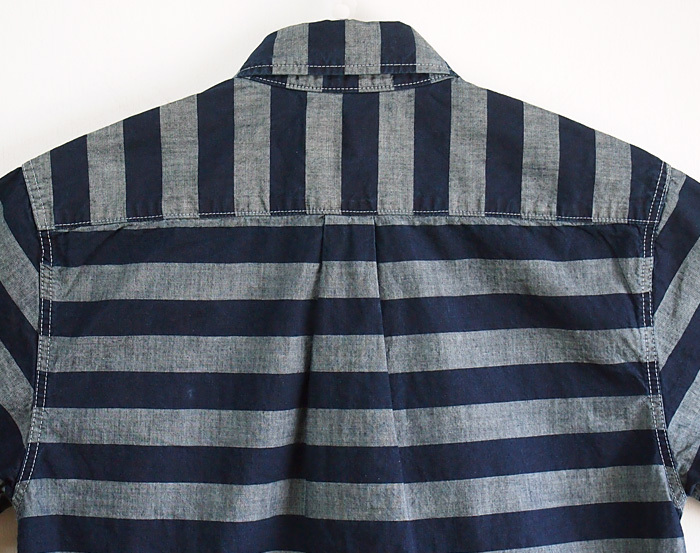 As horizontal stripes are impressive, it is simple and can wear it with one piece. I seem to wear a common button-down shirt when I match it with a jacket. The cloth becomes the natural texture with a feeling of 100% of cotton, some wrinkles. The collar uses pearlies with the luster on a type, the button which are button-downed. D Tyr who a thread of the chain stitch hanging down to the hem (called a gusset) of right and left is a flannel shirt of the vintage thing, and is seen. In the reluctance of leaving that kept on not cutting a thread after sewing, it becomes one of the points for designing it. You can have you cut it to preference briefly. ・ Stockout may happen depending on order time. You may have to wait until the arrival on - around 10th for one week, but are happy on this occasion if you can understand it beforehand. 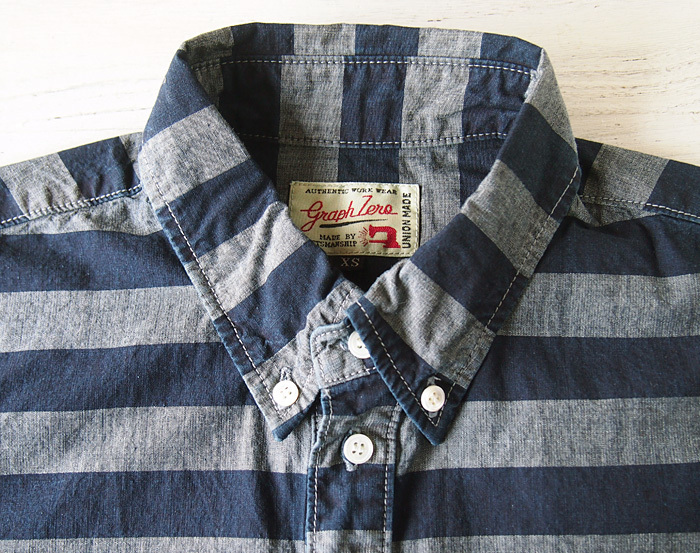 The short sleeves shirt of the domestic standard pullover button-down shirt appears a product made in Japan from craftsman denim brand graphzero (graph zero) of the Kojima area of Kurashiki-shi, Okayama! 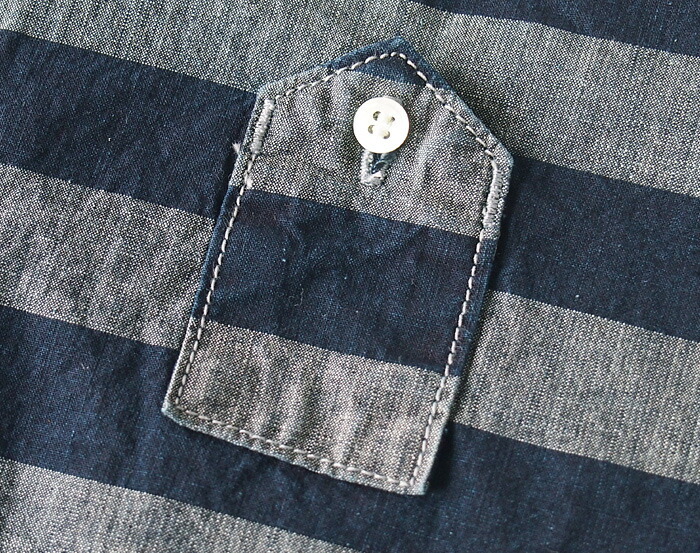 It is simple and, in addition to a functional breast pocket, is a working item of the mix-and-match! Indigo (blue blue) that is small in smooth comfort of 100-percent-cotton (100% of cotton) and a gray (gray) frill are refreshing impressions. You can enjoy the secular variation only by the indigo dyeing, too. In an unhurried silhouette, he/she charms the line of the body in on the small side moderately. 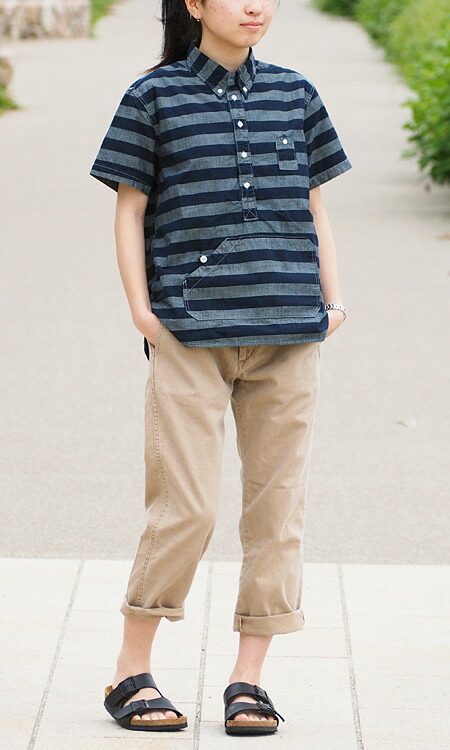 What have you coordinate it with a slacks and which skinny tight underwear let alone the wearing that seems to be the men who put the underwear such as basic jeans, denim, chino pants together is recommended! In addition, I match it with the girly items such as the skirts which I did softly and am pretty. Other than everyday wear, it is available in the outdoor. 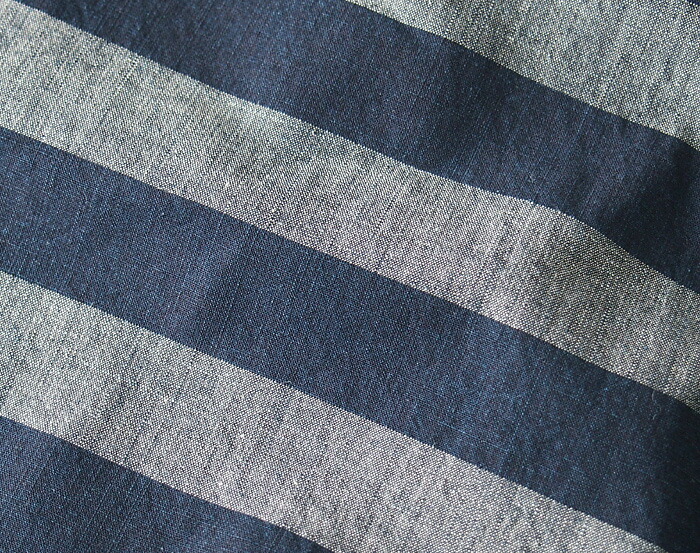 It is tension and the solid cloth with the waist, but it is thin and is cool! 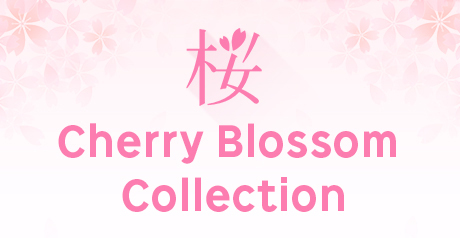 You can use it habitually as spring clothes, summer clothes cutely smartly. 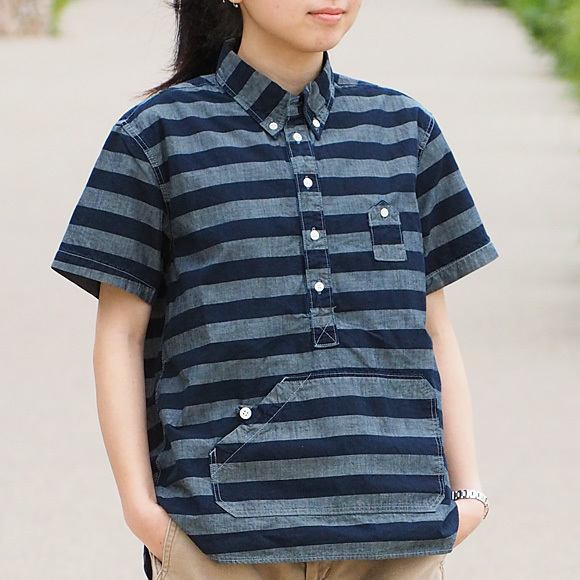 You can wear it without asking age to teenage .20s .30s .40s .50s in wide size development (XS S M). There is the men's size (male direction) other than lady's size (woman direction), too. 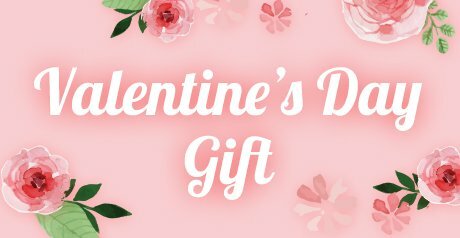 Of course I recommend it to gift presents such as on birthdays for pretty ♪ oneself use in Father's Day in Mother's Day on a birthday even if I have you use two pieces of sets which is different in size as pair look. Tell me about the one wanting lapping in the remarks column (free entry column) at the time of the order.